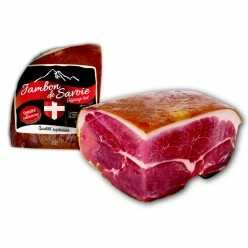 Selection of heavy french hams to provide large and nice slices. Lightly salted by hand. 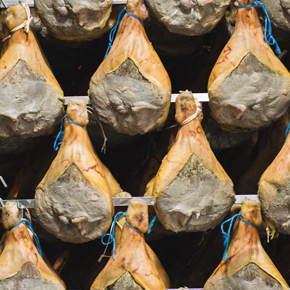 Many air-dried ham products can be stored outside the fridge to optimise pleasure purchases thanks to the developing fragrances. All products can be hung for attractive presentation resulting in impulse buying. 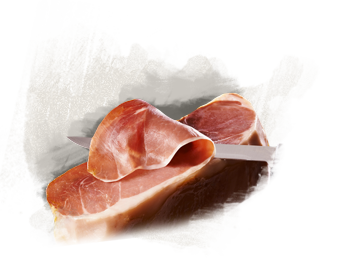 Nub of ham, plain in whole or ½ piece Made with « Noix patissière » fillet at the heart of the ham, a lean meat, tender and refined. 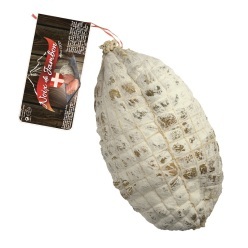 What is an authentic air-dried ham from Savoy ? 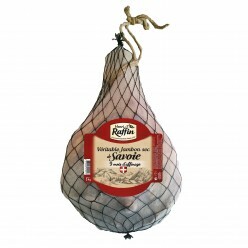 A superior quality ham is an air-dried ham weighing at least 10 up to 12 Kg before salting. Its production cycle lasts 210 to 270 days. 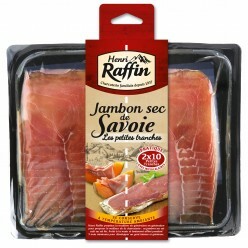 Henri Raffin's authentic air-dried Savoy hams are prepared from chosen pork. 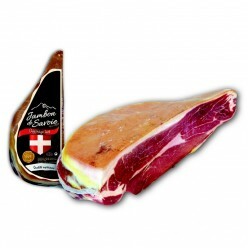 All meats are fresh and selected according to extremely strict procedures.